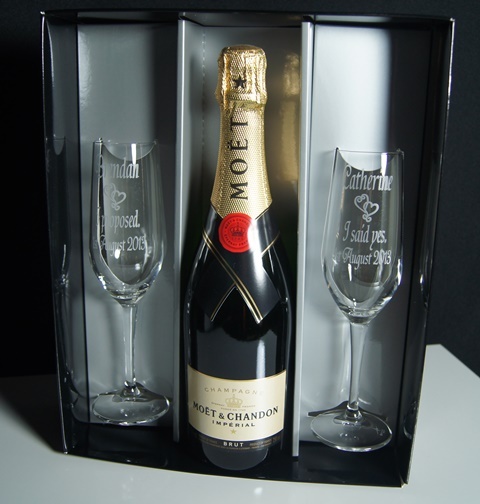 Our Champagne Pairs in triple gift box makes a great celebration gift for newly engaged or the bride and groom or someone celebrating an anniversary or milestone birthday. 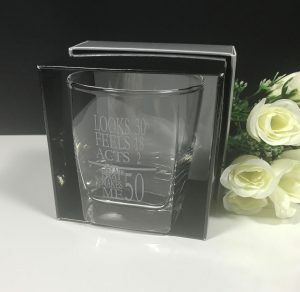 Pricing includes the etching on both of the glasses and the gift boxing. There are two colour options to choose from just select from the drop down menus. 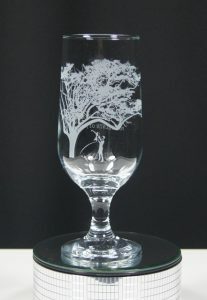 With all of our orders we will send you a detailed art proof showing the layout and design of the glasses for your approval prior to the commencement of production. Our Champagne Pairs in Triple Gift Box features two flutes standing tall and proud at 22cm in height and holding 220mls of bubbles. 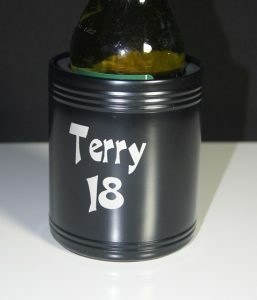 Pricing includes the pair of champagne flutes personalised with any of the fonts and graphics The price includes the gift boxing. Just select this option from the drop down menu above. Choose between gold and silver gift boxing. Please note alcohol is not included.